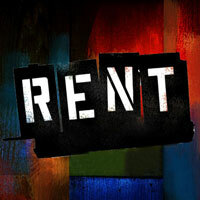 Based on Puccini's La Boheme, and Italian opera in which TB is killing 100s of thousands of people with no chance of recovery or healing, Rent School Edition follows a year in the life of a group of impoverished young artists and musicians struggling to survive and create in New York's Lower East Side, under the shadow of HIV/AIDS. The physical and emotional complications of the disease pervade the lives of Roger, Mimi, Tom and Angel. Maureen deals with her chronic infidelity through performance art; her partner, Joanne, wonders if their relationship is worth the trouble. Benny has sold out his Bohemian ideals in exchange for a hefty income and is on the outs with his former friends. Mark, an aspiring filmmaker, feels like an outsider to life in general. How these young bohemians negotiate their dreams, loves and conflicts provides the narrative thread to this groundbreaking musical.